SSA has set multiple stringent requirements to prevent misuse of the funds of the taxpayer, thus applicants often face difficulties while applying for social security. As per Social Security Disability Resource Center, the average rate of approval for disability claims is only 36%. 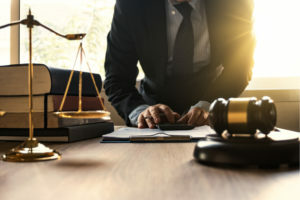 Thus, there are multiple benefits of hiring an experienced social security disability lawyer, which may ultimately increase the chances of the approval of your SSD claim. There is no legal requirement to hire legal counsel when you are applying for disability benefits or filing an appeal for a denied claim. However, having a proficient SSD attorney on your side can prove to be extremely beneficial for your case. Using their established relationship and comprehensive knowledge regarding SSD applications, your lawyer will evaluate the merits of your claim and ensure that all the requirements of SSA are met, before filing an application. A significant number of disability claims have merits, but they are denied due to technical details or errors in filing the forms. Acquiring services of a competent social security disability lawyer can be invaluable during the filing process as they will help you to navigate the complex application process of SSD. As they deal with disability claims on a regular basis, they understand the constituents of a successful claim thus ensuring that your application does not contain anything that may cause hindrance in the approval of your application. A skilled social security disability lawyer will also make sure that all required documents including medical records and other information that may help your claim are properly submitted with the application. If you have already submitted an application and it got denied, your attorney will help you to identify reasons as to why the application was declined and help you take corrective measures so you have a better shot the next time you submit your SSD application. If you wish to seek further information about this subject or set up a confidential case evaluation with an experienced social security disability lawyer, contact the offices of Harold W. Conick & Associates, Ltd. at (800) 608-8881 and schedule a free consultation.